Owners of Buy Here Pay Here (BHPH) car business have a new weapon to lower skips and repossession. It is a new GPS tracking device from Proconn and it is called The CUBE. The new, credit card sized tracker is available through Proconn’s subprime automotive finance brand GoldStar GPS. This technology could not be making it onto the market at a better time, consider the economic climate we are in and this quote from a business owner in the industry, ” … BHPH used car dealers [are] closing their doors all around me….” Business all around are feeling their profit margins shrink and find themselves needing to run a much tighter ship. GPS tracking has historically been able to provide this for all sorts of business in types of circumstances. Why Use GPS Tracking In BHPH? GPS tracking devices have been proven to be incredibly useful already in several similar applications. Probably the most similar use that I am aware of is in the theft recovery market. In particular, police have been very successful using GPS tracking bait cars to recover vehicles that are specifically designed to get stolen. BHPH GPS tracking works in much the same way. Lower the cost of repossession by saving time – If you know exactly where a vehicle in need of repossession is, you save tons of time in the search process. You can find the car in just minutes and have it towed away in no time at all. Get a grip in your assets management – another major issue that some owners face is having too many cars out and not enough resources to keep track of them all. Once you reach a certain number of vehicles on the road you need some help keeping track of them all and a GPS system is just the thing the doctor ordered. Increase your loan portfolio with less risk – The obvious outcome of the two reasons mentioned above is that you can increase the number of cars that you lend at a reduced risk to yourself and your bottom line. This means that the company can bring in more money, which is always a good thing. Now the question remains, how much does all this cost? The short answer is that it depends. There is no cost mentioned anywhere on their website and a Google search did not generate any results. This is to be expected since most business-to-business deals are negotiated. You can certainly contact GoldStar GPS for more information on their pricing structure. Daily Location Report – You will automatically be given the location of the vehicle that you own at least once a day. This is a “free” location check and will not count against the total number of locates you can make in a given month. The information is also stored to create a vehicle history so that you can easily get an idea of where the vehicle has been while out of your possession. Stop Report – Another way to get information on your vehicle is to set up stop reporting. Once a device is no longer in motion for a specified period of time the device will send the location to you so that you can know where the vehicle is making stops. trakSMS™ – This is a wonderful feature for the The CUBE GPS tracking device. 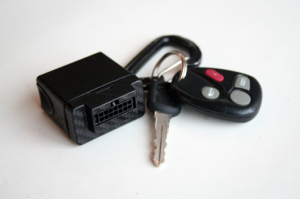 It is a way for a user to remotely control certain aspects of the vehicle’s GPS tracker. With a simple text message from any text capable cell phone you can find out the speed, direction, and address of the unit as well as have the ability to lock or unlock the doors and to cut the engine. How would a person evading repossession like that! Warning Buzzer – This feature lets car owners send a buzz to car users letting them know that a payment is due soon. If payment is late, dealers can then disable the vehicle. Fear is a great motivator to get payments in on time. Real-Time Alerts and Notifications – The GoldStar GPS tracking system lets you set up custom alerts that will notify owners of when the car is on the move or whether or not the car has traveled outside one of the six owner generated GeoFences. This is great when you think a customer may be trying to skip town with your car. State-of-the-Art Mapping and Imaging – This vehicle tracking system utilizes the latest and greatest in GPS tracking software user interfaces. You can either use Google Earth or Microsoft Virtual Earth to see the units location in a wide variety of views (road map, satellite, or hybrid). This is a well rounded device that is relatively easy to install and incredibly powerful for business owners looking to improve their profit margins and ensure the safety of their business by keeping tabs on their assets. If you have never though about using a car GPS tracking device for your BHPH car business then now is the time.